While the most famous "Imperials" of the 50s was, of course, Little Anthony's group, there were others. For example, a group by that name, from the New York area, appeared on Derby and Savoy. 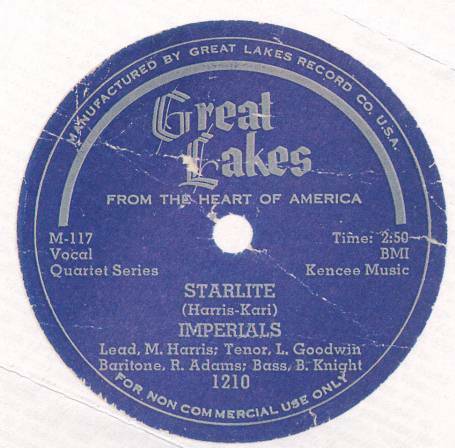 But the subject of this article is the Detroit Imperials, who recorded for Great Lakes Records. Formed in early 1951, when most of the members were 13 or 14, this aggregation of music buffs was originally called the Bobbaleers (taken from the Orioles' "Barbra Lee," which they used as a theme song). Says Milton, "We started out as a bunch of kids singing in the choir at Sherrard Middle School." And a bunch they were (a big bunch! ): the original group consisted of Milton Harris (lead tenor), William "Mickey" Stevenson (lead tenor), William "Spoon" Weatherspoon (tenor), Robert Adams (baritone and tenor), Lee Goodwin (second tenor and baritone), Ben Knight (bass), Margaret Haynes (soprano), Helen Ivory (alto), and Geraldine Davenport (alto). In case you've lost count, there were nine of them (a nonet). They practiced songs that Milton wrote and, of course, "whatever was the current thing," including songs by the Dominoes, Orioles, Clovers, Ravens, Fats Domino, and Lloyd Price. Then there were the local Detroit acts, like the Royals (of course, they later did numbers by the Midnighters). Detroit's Serenaders figured in there too; according to Milton, "the Serenaders were our biggest competition." As time went on, they found that there were a lot of inconveniences involved in getting nine singers to show up at rehearsals. Thus, Margaret, Helen and Geraldine were dropped. Actually, there was another reason: "We couldn't concentrate with the girls around." Whatever the reason, this left a more manageable sextet. And they loved to sing: "We'd sneak off to the bathroom after choir practice and 'hit a note' every chance we got. We sang to get recognition. We had no concept of commerciality." 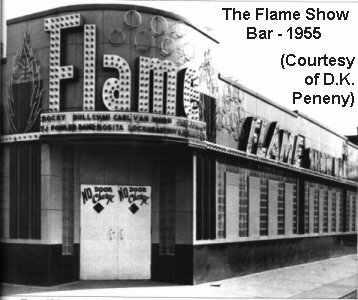 One night, when Dinah Washington was playing at the Flame Show Bar, the Bobbaleers decided to go down there and sing in front of the place. This caught the attention of Phil Waddell, who told them to contact him and eventually became their manager. Who was Phil Waddell? "He was an entertainer, billed as 'Mr. Table And Chairs,' for his ability to lift these items with his teeth. [Quick, call Ed Sullivan!] Phil lived in the Fairbain Hotel and did artist bookings on the side. He was a hustler." Waddell quickly took charge of the group. The first thing he did was suggest a name change. Thus, the Bobbaleers now became the Teen Toppers. "We would visit him [Waddell] about once a week to check on bookings or possible engagements. This is how we found out about the Great Lakes recording studio, which was being constructed in the former ballroom of the hotel." But Great Lakes wasn't their initial choice: "We went to Fortune first, but we didn't like the songs that they wanted us to do." But soon the Teen Toppers would shrink in size too. William Weatherspoon transferred to a different school and left because he had trouble making rehearsals. Then, a few months later, Mickey Stevenson left also; he too was from a different neighborhood. Mickey was two years older than the rest, and soon enlisted in the army. ("Mickey couldn't really sing. He could only hold a monotone note, not necessarily on key." Don't feel sorry for Mickey, however, you'll see what happened to him later on.) So at last there were four. 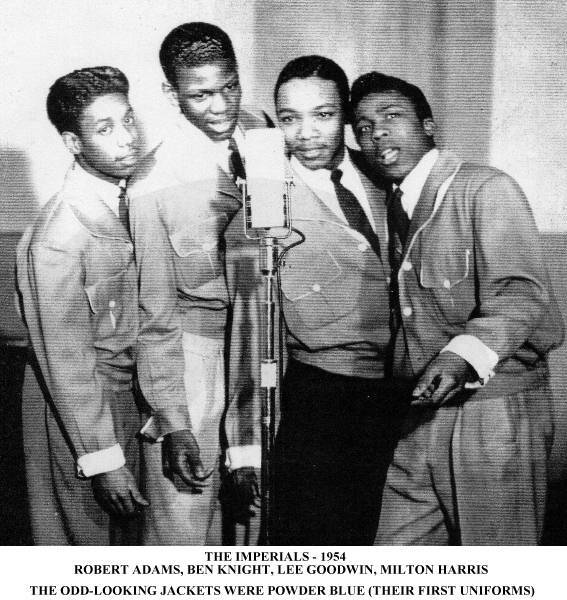 The Teen Toppers were now Milton Harris, Robert Adams, Lee Goodwin, and Ben Knight. The Bobbaleers had only performed at Sherrard Middle School. The Teen Toppers (and later on the Imperials) did the rounds of Detroit's talent shows, appearing at the Warfield, Arcadia, Booker T, Echo, Apollo (the Detroit version), and Rogers Theaters (but never the Paradise). "We became the premier group," says Milton. They played benefits, shows for social groups, shows at school, and the YMCA. There were also appearances at the Chesterfield Lounge, the Sugar Hill Lounge, the Garfield Lounge, the Greystone Ballroom, the Madison Ballroom, the Lee Club Sensation, and the famed Flame Show Bar. As part of their act, they danced the Chicken (a dance that, for years, was very popular in the midwest). But not today: "I'd be on crutches in the morning," says Lee. "We were 15, 16 years old when we were singing." 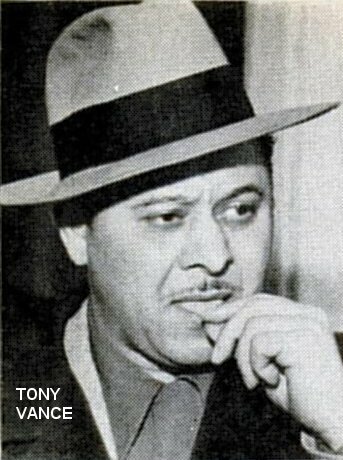 One day, while the Teen Toppers were appearing at the Greystone Ballroom (with pianist Earl Van Dyke's orchestra and Andre Williams & the 5 Dollars), they met Tony Vance (who had a record shop near the Flame Show Bar). He also seems to have been part owner of the newly-formed Great Lakes label, along with Kenneth Campbell (a former recording engineer for Fortune Records), and possibly promotion manager Ray Gahan. The Imperials met both Campbell and Gahan occasionally, but "all of our business and recording contacts were with Tony. He said he wanted to record us." Vance became their new manager (he also managed Della Reese for a while), and introduced them to bandleader/singer Isaac Saxton "Sax" Kari. Initially, their parents had no interest in what they were doing, because it wasn't gospel. But when Tony Vance came along, there were contracts to be signed, and then their parents began to take a bit of an interest in things. Lee remembers that "We were children without parental supervision and support, and that made a big difference." The Teen Toppers were almost ready, but Tony Vance wasn't happy with their name. As he reminded them, they wouldn't be teenagers forever. Tony happened to own a Chrysler Imperial, and that's what inspired their new name. "One day, while we were leaving the recording studio [the "Campbell Recording Company"], which was located in the former ballroom of the Fairbain Hotel on Columbia Street [in the "Paradise Valley" section of Detroit], Tony's brand-new, big, big, beautiful blue Chrysler Imperial was parked near the front entrance. It was a fantastic car. Robert and I, being car enthusiasts, marveled at the beauty of the car, and we decided to call ourselves the Imperials. Tony had rejected some previous names we'd submitted, and, wanting to secure our opportunity to record, we were eager to find a name that would be acceptable. What better name to present for approval than "Imperial"? For we felt that anyone who liked a car well enough to buy one, surely wouldn't have a problem with a name associated with that car. After a brief discussion with Ben and Lee, we all concurred that this was a name Tony couldn't refuse. And we were right! Tony readily gave his approval. We didn't even know what the word meant!" 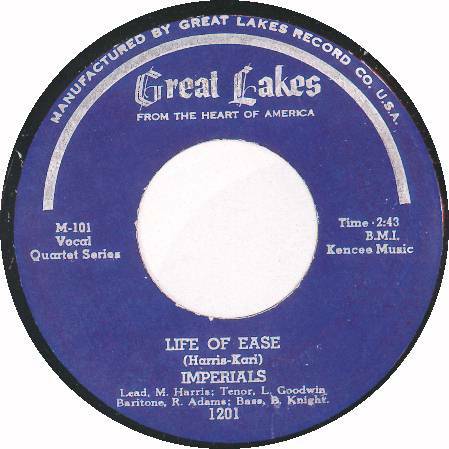 There was a press release in November 1953, that claimed the first Great Lakes release would be issued on December 8, pairing two of the company's artists: pop singer Don Sebastian and the Imperials. No other details were given and the recordings were never made. Both acts recorded separately for Great Lakes, but never together. The press release also trumpeted the signing of Sax Kari's Orchestra (with femme singer Gloria Irving), Della Reese, Debbie Andrews, Jimmy Hamilton's Ellington Big Eight, Sonny Johnson's Octet, Kenny Burrell, Cha Cha Hogan, and the Mello-Larks. (While only Kari, Irving, and Reese ever appeared on Great Lakes, most of the rest had releases on other labels.) The company personnel were reported to be: Kenneth Campbell (president), Tony Vance (a&r for pop and jazz), Sax Kari (a&r for R&B), and Ray Gahan (promotions). The label would be distributed through United Distributors. The Imperials' first recording session probably took place in October 1953, in the newly-built studio. Right after Della Reese's session (they remember her doing "Stormy Weather"), they waxed a few tunes that Milton Harris had written: "Life Of Ease" (which Milton says owes a few of its lyrics to "Sixty Minute Man"), "It Won't Be Very Long," and "Starlite," as well as the old Basin Street Boys tune, "I Sold My Heart To The Junkman." (All Imperials leads were by Milton.) It took six to eight hours to get these tunes recorded (and they'd first started about 11:30 pm!). Another song that they recorded, at an unknown date, was "Do I Love Her." On the session, they were backed up by Sax Kari and His Ballin' The Blues Band. Although Milton had written the songs, by the time the records were pressed, Kari had had his name added to the writer credits. Although it would seem that while the Imperials were in the studio, they would have been used as the group that backed up Kari (and Gloria Irving) on the rocking and bawdy "Geneva And Johnny," when the guys listened to a tape of the song, they all agreed that the group wasn't the Imperials. "We have no recollection of being present during this recording." The identity of the group remains a mystery (possibly it's the Mello-Larks). Released in January 1954, "Life Of Ease" and "It Won't Be Very Long" were reviewed the week of January 23, both receiving mediocre ratings. Other records reviewed that week were: the 5 Royales' "Good Thing," Roy Brown's "Lonesome Lover," Lula Reed's "Your Key Don't Fit No More," and the Platters' "I'll Cry When You're Gone." "'Life Of Ease' was our biggest hit," says Milton. "It was big in Detroit and also San Antonio." In fact, the song remained on the local charts for months, at least through May. And at least someone made money off it: "February was Mardi Gras time, and there were pictures, in Jet, of Tony Vance, down in New Orleans, spending our money." In late February, Roy Hamilton's dramatic version of "You'll Never Walk Alone" (from Rogers and Hammerstein's 1945 musical Carousel) entered the national R&B charts, where it would stay for the next 20 weeks (including 8 weeks at #1). Tony Vance, deciding that the Imperials would make a great crossover group, handed them the pop tune to cover. "We threw it together at the studio. We arranged it. We kicked it around for 30 to 40 minutes in the bathroom. It wasn't an arrangement that would have been expected of some children, some kids. It brought us up; a big jump." 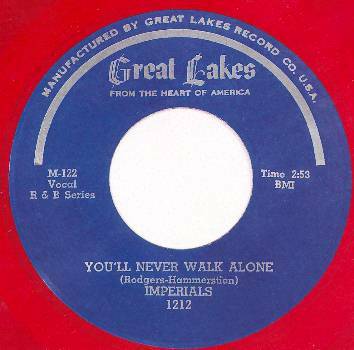 Thus, sometime in the spring (between April 27 and May 9), the Imperials waxed "You'll Never Walk Alone" and "Ain't Gonna Tell It Right" (a song written by someone named "Hunt," whom no one remembers). 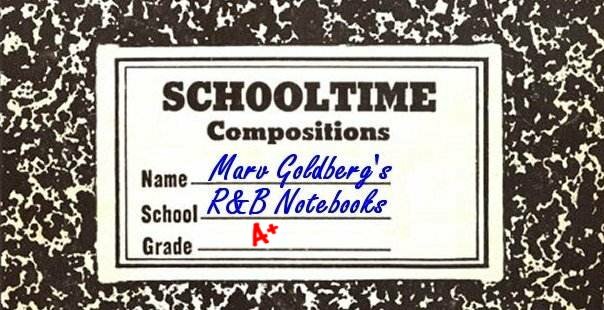 There were other songs cut along the way too, including "Senorita." Once again, Kari played tenor sax, with Milt Buckner on piano, Willie Dixon on bass, and two other musicians named Brock (bongos) and "Big Red" (sax). "You'll Never Walk Alone" was very nicely done, with good use of an echo effect. However, the record does not seem to have been reviewed, and it's not certain exactly when, in the spring of 1954, it was released. Probably Roy Hamilton's version was such a runaway hit that nothing could have competed with it anyway. Even though big changes were brewing at Great Lakes, they continued to sign up talent. In March 1954, it was announced that the Three Chuckles, pop singer Kathy Lewis, and blues singer Bob White had been pacted by the label. With two records out, you'd think that the Imperials would have gotten better bookings, but they continued to play talent shows and other low- or no-paying gigs. "We had one opportunity to go out of town, but it didn't materialize," says Milton. Opportunities were limited for the Imperials because they were so young. "We were ripe for the picking. We did most of the bookings on our own, and mostly not for money." They did manage to appear, along with Red Prysock, on Ed "Jack The Bellboy" McKenzie's Saturday morning TV show on WXYZ (channel 7). [McKenzie was one of the first to ban the song "Such A Night" from airplay. There were three versions-by local singer Johnny Ray, Bunny Paul, and the Drifters-and McKenzie got a lot of protests from parents regarding the song's suggestive contents. Therefore, in mid-March 1954, he stopped playing all the versions, in spite of heavy requests from his teenage audience.] 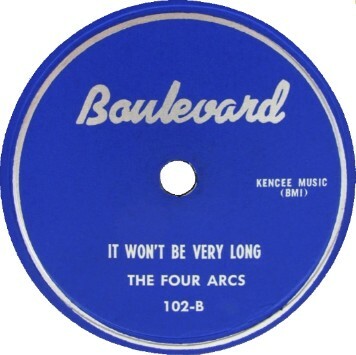 There were also appearances on radio stations WCAR and WJLB (Detroit's premier R&B station, with "Senator" Bristoe Bryant, "Rockin'" Leroy White, and "Frantic" Ernie Durham, all of whom spun the Imperials' records). On girls: "You couldn't let the girls go to your head," says Lee. "If they were swooning over you tonight, they'd be swooning over someone else tomorrow night." On other local groups: "They were jumping out of the balcony for the 5 Dollars. The 5 Dollars couldn't sing a lick, but they had showmanship." And: "We'd run Smokey right off stage. His group could never sing. But they came along at the right time 'cause we had nothing else to listen to." Unbeknownst to the Imperials, upheavals were taking place behind the scenes. In July 1954, it was announced that Great Lakes prez Kenneth Campbell and promotion man Ray Gahan (who was all of 22 at the time) would team up as owners of two new labels, Boulevard and Avenue (both to be located at 927 Vernier Road in Grosse Point, Michigan). The Great Lakes label then quietly went out of business. After this, things started going downhill for the Imperials. First, they lost contact with Tony Vance. Then there was no money coming in, even when they did manage to make an appearance somewhere. "We did not make a dime; not a nickel." Eventually, in mid-55, Ben Knight joined Stanley Mitchell's Tornados and, in 1956, Lee Goodwin went into the service. Around 1960, Ben would spend some time with the Falcons, as a replacement for Willie Schofield, but none of the others continued singing in any groups. (Milton performed as a solo artist and also did songwriting, production, arranging, and orchestration for other artists.) 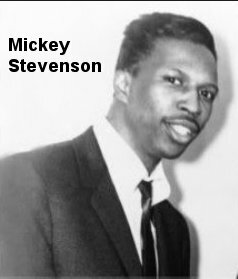 When Mickey Stevenson (remember him from early on?) got out of the service, he went to work for Motown, ending up as chief a&r man there (along the way, he also managed to write a few songs: "Beechwood 4-5789," "Stubborn Kind Of Fellow," "Pride And Joy," "Devil With The Blue Dress," "Dancing In The Street," and "It Takes Two"); he would also marry Motown artist Kim Weston. 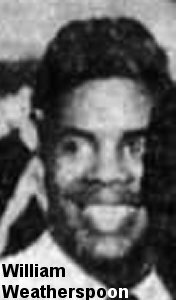 William Weatherspoon (another of the old Teen Toppers bunch) also ended up at Motown (after being a part of Stanley Mitchell's Tornados), as a writer and producer; his credits include Jimmy Ruffin's "What Becomes Of The Brokenhearted." 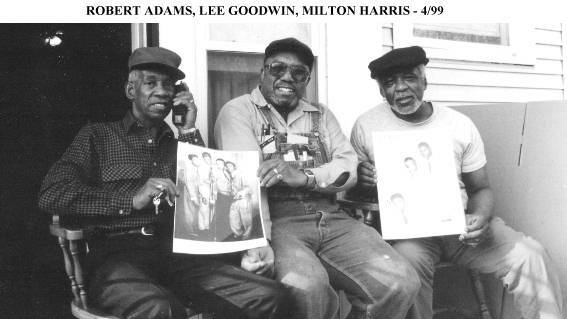 Today, Milton Harris, Robert Adams, and Ben Knight still live in Detroit. Milton is still active in writing, arranging, and producing, while Ben occasionally does background bass for various groups. Lee Goodwin, a minister, recently moved to Selma, Alabama. Blame their lack of success on their youth. The Imperials couldn't do extensive performing, because they were still in school. They were so young that no one saw any great reason to pay them for their performances. They did a nice cover of a record that had already become a tremendous hit, ensuring that theirs would get lost in the shuffle. Then they had lousy management and their record company dissolved behind their collective back. Even if you have carloads of talent, many times it just isn't enough. I think it is safe to say that during our brief, but fruitful, existence we inspired, motivated, and encouraged future Detroit singing groups and individuals, prior to the advent of Motown. Perhaps it will never be validated, but I believe that what we accomplished is still a part of the music/group entertainment legacy of Detroit. For the Imperials were one of the first (if not the first) black Rhythm & Blues groups in Detroit to have a recording that was a major local hit of influence. We loved to sing. Not for money, fortune, or fame, but for the joy of singing, competing, and being together in harmony with one another as friends. Outside of singing, we genuinely liked each other; that made the difference. In retrospect, the reward which never accrued to us in a tangible way has been granted to us through our memory and reflections of what we did and what we might have done. It's the common thread which still binds us together. Special thanks to Tony Tisovec. Milton wishes to express a debt of gratitude to "Mrs. Goodwill, for preserving the photographs and other artifacts which we forgot to treasure." NOTE: While records 1206-1211 aren't known, their master numbers would, had the series continued, have ended with M-119 and M-120 for record #1211. The missing records either were issued or at least planned to the point where master numbers had been assigned (Great Lakes was one of those companies that assigned master numbers at pressing time). Since Milton and Lee provided me with copies of the labels for the unreleased "Starlite" and "Do I Love Her," this theory seems to hold true. The non-series master numbers for 1203 probably indicate that the sides were purchased.